100% sustainable – is it possible? That organic homestead dream…is it sustainable? This is the second post in a series titled “100% sustainable – is it possible?”. I hope you enjoy my analysis of different lifestyles, their ecological impact, and the possibility of humanity achieving sustainability. 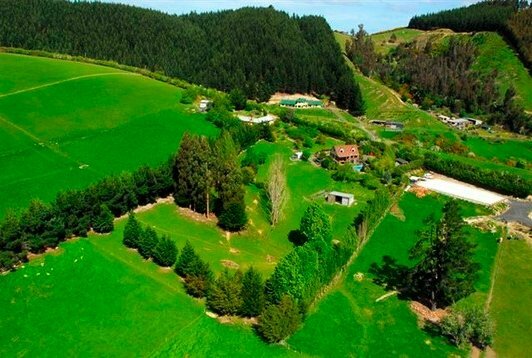 A lot of people interested in living simply have a dream of one day buying a small farm and living sustainably. 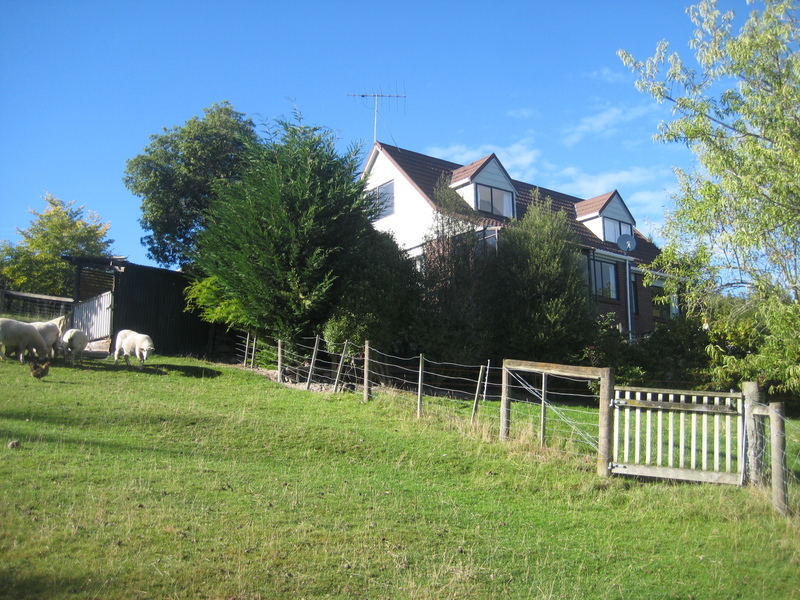 We were those people too, and six years ago, we bought a small farm on the outskirts of a small city in New Zealand. Our farmhouse in the morning. It’s idyllic, beautiful…and a lot of hard work. It’s also not sustainable. Petrol. Living further out really added to our transport costs. Where our farm is situated, we rely on cars for everything. The nearest bus is several kilometers away, and only runs twice a day. The nearest supermarket is six kms away (3 miles). The kids’ school is a ten kilometer round trip (four miles). Those distances might not sound like much, but petrol is about three times the price of what it costs in the US, so if you triple those distances you’ve got some idea of what we’re dealing with, day in day out. No public transport. Related to this is the lack of public transport. Public transport is a real winner when it comes to sustainability, and private cars are a nightmare. When everything you do is reliant on the private car, you are NOT on a winner. Yes, we could use bikes for everything…except I have young kids, and my daughter is disabled. They’re simply not practical. And we live on a steep dirt road. Country supermarkets are more expensive. We can shop at our local supermarket – but I save well over $50 a week by shopping in town. Shopping locally comes with a hefty price tag attached. So I shop in town, and have to add that commute to my petrol bill. You can’t be self-reliant in this day and age. Well, you can, but it gets boring and is non-stop work. So in summer, for example, we often live day after day on our own summer produce (salad stuff), our own lamb, our own eggs. But unless you want the few things we produce for every meal it gets really boring really quickly. I’m surprised at how little we produce of our own, yet we produce more than any homesteader I know. Homesteads use a LOT of chemicals. Or a LOT of muscle. We’re organic, and that means I spend days on end every year rooting up weeds to stop them spreading. It’s backbreaking work, and thankless, because I know I’ll be doing it all over again the following year. But most homesteads are not organic, and rely heavily on agricultural pesticides and herbicides. The mortgage. Most small homesteads are up to their eyeballs in debt. We have a hefty mortgage too. The only reason we manage so well is because my ex husand earns a huge wage, and we were fortunate with the housing bubble in Australia when we sold our previous home. But to my mind, when I reconsider everything, there’s nothing sustainable about debt. If I was doing it all again, I’d never be at the mercy of the banks to this extent. Our property…that’s us, with the orange roof. Farmers markets and discount stores. There aren’t any, out where we live. Ironically, we used to go to the Farmer’s Market when we lived in town, and we’d buy all the lovely produce that people grow out here, on farms like ours. But out here we’d have to travel into town early on Saturday morning to take advantage of the market. It’s too far, and so we don’t have that benefit. Same with discount stores – there are none out here, except for one small “Warehouse” which charges more than the town version. People underestimate how much can be grown on a city block. 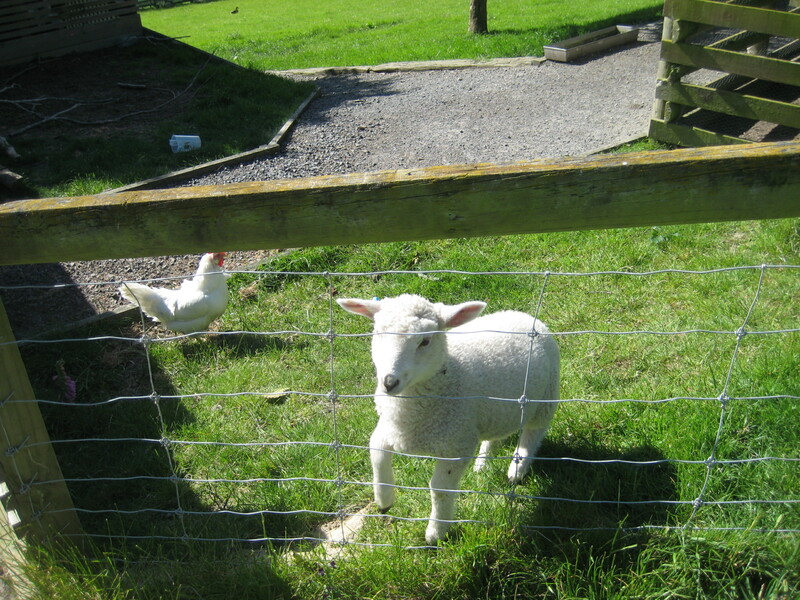 Also ironically, most of the food we produce, apart from the lamb, comes from our chickens and veggie plot. All of which are easily achievable on a city backyard. 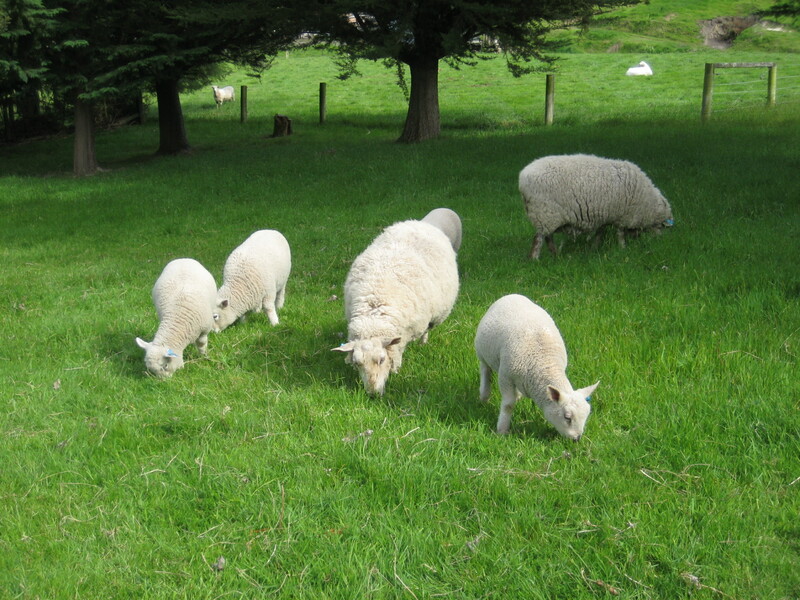 All a farm gives you is the option of large animals – sheep etc., and as I say above, those sheep cost a lot in added mortgage. I think the homestead dream is better off as a dream, for most people. It is lovely living out here, but it’s very expensive and not at all sustainable. Country properties use more energy, more petrol, more chemicals (usually), and are a lot more work. They’re also huge time sinks. They’re usually bigger and more expensive, and take more energy and effort, and cost more (debt). The return for all this is minimal. Overall, I know a lot of people who are homesteading, and none of them are living sustainably. We certainly aren’t. I think this was something I had to discover for myself. I’d had dreams of owning a farm all my life, and now I’ve done it. But I’ve also learned some hard lessons along the way – namely, that not all dreams live up to the reality.